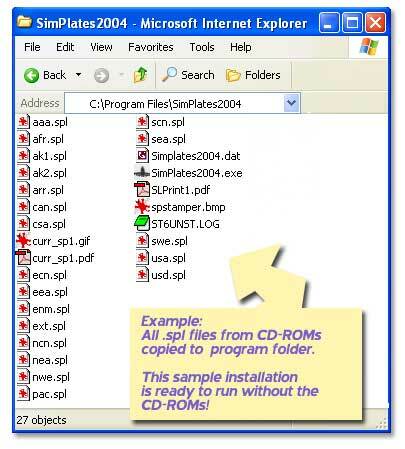 To run without the CD-ROMs, you need to copy the .spl files from the CD-ROMs into the program directory on your hard drive. So, if your program is installed into c:\program files\sp2k4, then copy all of the .spl files into this folder. Note 1: this takes a fair bit of hard drive space. Note 2: this is unsupported, and no technical support will be provided for this. If you're not sure how to do this, please consult your local computer guru and show him/her these instructions.